One: Motivation. As I said above, there is nothing like seeing your word count going up, up, up. I don’t know of anyone who isn’t motivated by that! If you’re excited, why not celebrate with friends? They will be excited with you and keep encouraging you as you sprint, walk, or crawl to the finish line that is a complete first draft. Two: Accountability. When your followers, friends, or even family see that you haven’t been updating your word count lately– if they are so kind as to do this– they will contact you to see if you have been procrastinating, writing furiously enough not to be bothered with updates, or died some grisly death at the hands of an axe murderer. Accountability is the best motivator in my opinion. Three: Self-satisfaction. 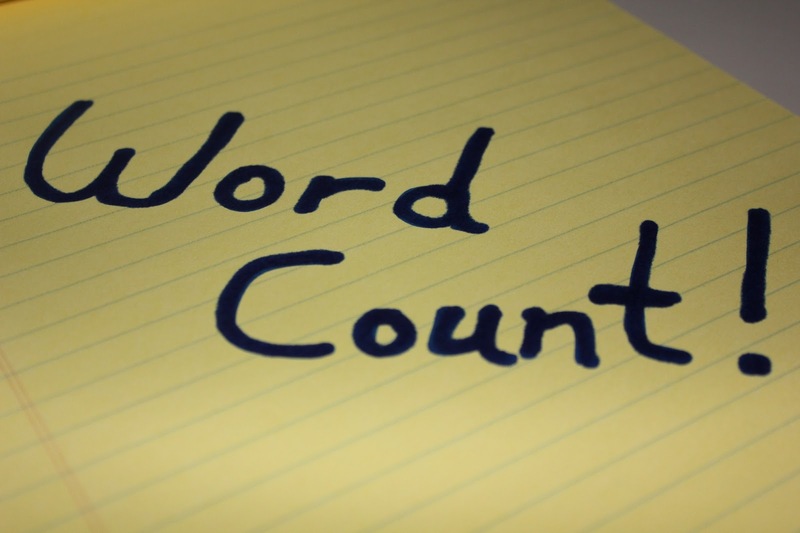 As stated earlier, updating your word count on your website or wherever is a great way to brag to your friends about how much you have accomplished. You should be proud of yourself for having made it as far as you have! Don’t brag too hard about it, however, because nobody likes someone who pushes things at their face. What about you? Do you update people on your word count, or do you keep your progress to yourself, and why?